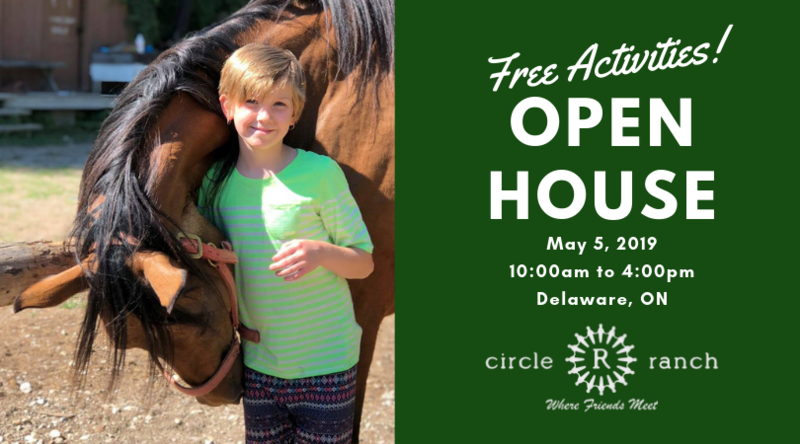 Come on out to meet the staff, tour the property, enjoy the activities, and to obtain a feel for the summer camp community here at Circle R! See below for free activities and areas to visit. We hope to meet you and your family and to provide you with an enjoyable and informative Circle R Ranch experience! Horse Corral: Join our riding staff for a tour of the corral. Find out about our horseback riding programs, and meet the horses and ponies. The Farm: Meet our goats, sheep, chickens and pot-bellied pig! Waterfront: View where we swim, canoe, and kayak during the summer time. Archery Range: Stop by and shoot for a bullseye! Organic Permaculture Garden: Where we plant and harvest, play music, yoga, build community, and learn how to be in harmony with nature. Main Lodge: Register for day and overnight summer camp, enjoy refreshments, see a great summer camp slide show, view our door prizes, purchase discount riding coupons ! Wildflower Walk: Enjoy our self-guide 1.5 km trail, learn about the unique wildflowers & plants which grow in our Carolinian forest.